This post was originally published by Nat (@quarridors) at http://quarridors.dreamwidth.org/11703.html. It is reprinted here with permission from the author. It’s been a year since I was first referred for assessment, and seven months since I was diagnosed with an autistic spectrum condition. This September I gained the knowledge of exactly why I was different, 20 years after becoming painfully and hopelessly aware at age 12 that I wasn’t and couldn’t be like other kids, no matter how hard I tried. After years of searching, I finally knew for certain that the word that described me was ‘autistic’. I have many challenges. I don’t deal with stress well, I’m not very aware of my body or my emotions, I find it difficult to organise myself without making a lot of conscious effort, I have sensory sensitivities that can easily overwhelm me, I tend to hyperfocus on ‘irrelevant’ details, I struggle to maintain friendships, I’m difficult to live with, the things I love doing are considered odd by most others, and I can be too rigid or literal when I communicate. A year ago I was having a very difficult time of things, which is why I sought help from my GP, to finally know for sure why I struggled with so many ‘simple’ things. Getting a diagnosis was a huge relief but also triggered some painful reflection on friendships I’d lost, opportunities I missed, decisions I’d made then discounted based on how that change hadn’t solved my personal problems. But six months on from that difficult first month, I’m able to look back on the positive results of the initially difficult conversations with friends and family, I can see the improvements from disclosing to my employers. I can reflect on the help I’ve been given to identify and act on my emotions. I can look at my home life, my social life and my work life and see just how much happier and more effective I am when I’m able to focus on getting things done and being a good person without worrying about doing things in a way that looks ‘normal’. Now the challenges have a name and a shape, I can start to work around them, or with them, I can use my ‘inertia’ to ‘slingshot’ between tasks, I can ‘garden the path of least resistance’ and build functional routines that make me happier and more effective. I can use my tendency to develop and follow rules for everything to develop coping strategies that actually help. Now I have the knowledge, I can work out how to write a manual for myself. Best of all, I’ve found community, I’ve found others who are also different in the ways that I am. People who think like I do, move like I do. I’ve seen my ‘unique’ physical and verbal quirks spontaneously produced by Internet friends I’ve just met in person, felt like I was meeting someone else from the same foreign country I come from. The same kind of different. I’ve found friendship groups who let me be my own stimmy, unfiltered self, and like me for it. I’ve learnt not to bluff and hide when I don’t understand, and I’ve actually started to make more connections. I notice, think about and take pleasure in small details that other people seem to miss or overlook. Although I find complex emotional awareness difficult, I’m very aware of simple emotions like happiness, meaning that I jump around in glee at least once almost every day. Unlike most people I meet, I no longer have the deluded belief that everyone thinks in the way I do, likes the things I do or sees the world how I do. I knew early on that there wasn’t anything that ‘everyone likes’ or ‘no one likes’. I’m able to talk about what I do badly with total honesty without this meaning that I have low self esteem (the emotions specialist who worked with me seemed to think this was a rare skill). Because I’ve always been aware that unwritten social rules are a challenge, I tend to try to be as intentionally thoughtful and considerate of other people’s feelings as much as possible. By now, I am adept at explaining my own access needs and the reasons why they’re important, I have scripts for most situations and I can be the calm and ‘level headed’ one in situations that others find upsetting. Despite having extremely fragile working memory, my long time memory for certain things is incredible. I can hold the details of a complicated system in my head and see how one change will affect everything. I tend to spot flaws and focus on the details, so I’m good at proof reading and analytical thinking. This makes me extremely well suited to many aspects of my job. Because I have to organise myself ‘by force’, I already had the organisational strategies and tools to organise complicated work projects without training. Being autistic is who I am, who I’ve always been. Getting to 32 with unidentified autism isn’t easy, there have been a lot of challenges and I have many regrets, but truly understanding and accepting my place on the autistic spectrum has been one of the best things to happen to me. Having this knowledge doesn’t change who I am, but it does help me to like who I am, and get so much more out of my life. 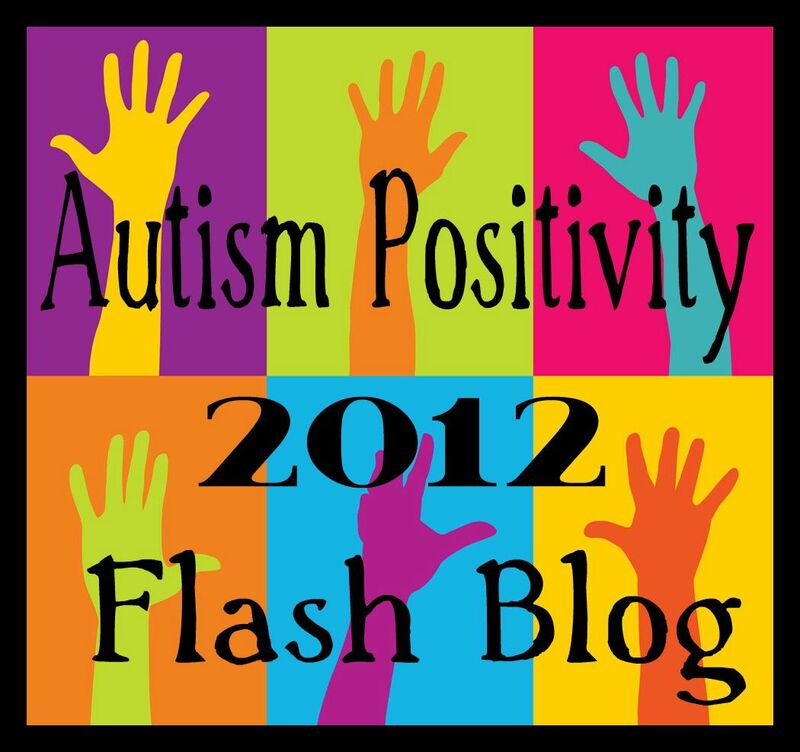 This post is part of the Autism Positivity Day 2013 Flashblog, finishing off Autism Acceptance Month 2013. To learn more about the autistic spectrum, read the Storify I created for World Autism Awareness Day 2013.